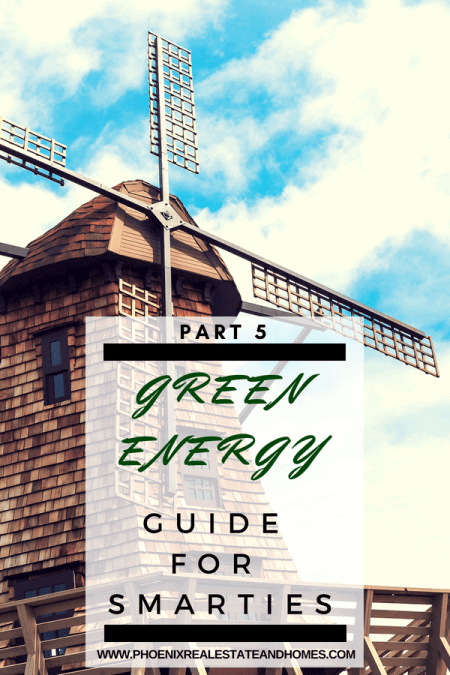 Green Energy Solutions in the form of Energy Star appliances, HVAC units, and windows and doors are center stage in today’s Green Energy Guide for Smarties – Part 5. Provide a cleaner energy with green energy solutions by learning some tips below. Windows, Doors, and Skylights are three important pieces to making your home less dependent on fossil fuels and green energy solutions. Let’s begin with doors. Each opening at your house directly influences your bottom line. This is increasingly influenced by the quality of the installation. So having well-made doors, windows and skylights is just the beginning and you might soon loose the nuts and you may be needing some tools to aid your doors and windows in falling. Have energy use in mind plus the install itself to help your home battle the elements by providing a barrier from the heat or cold. There are many different materials these days for you could get virtually all styles in the world that appeared cool and rocked and have green energy solutions as well. Like an exterior windows and doors. Today’s most common exterior doors are manufactured with a foam core and metal sheeting exterior. There is also fiberglass which can be painted or stained to look like wood. Windows can be made of aluminum, vinyl, or fiberglass. Some homes still get wood & aluminum clad installed. These are esthetically more luxurious, but not as efficient. The technology advances in the window industry (including low e glass) make yesterday windows a bit of a joke. Old school windows are one of the biggest offenders when it comes to energy waste. It’s no wonder that homeowners are making new windows and doors a top priority in the remodeling plans. The major components that make up a window are the glass, the reflective materials, the insulating gasses, the seals, and the frame materials. Today’s most efficient windows are being made with fiberglass frames. This material is a great choice because of the fact that it does not expand and contract at a different rate than glass does. In fact, since the main material in fiberglass is made of glass particles so that coefficiency rate of expansion and contraction is that same as the glass window. Furthermore, the combination of glass and fiberglass places far less stress on the seals that bond them together than does a material such as wood, aluminum, or metal when combined with glass. This makes fiberglass framed windows and doors a wise choice if you are wanting to use green energy solutions that will make a difference. Another series of advantages of fiberglass is that it does not decompose like wood. Wood can crack, rot, and fall apart over time. Fiberglass does not degrade over time like wood does. It is an excellent building material and is especially preferred by the high-end window and door suppliers like Freelite who is a major supplier and professional installer of Milgard windows and doors in the greater Phoenix metro. R-Value is the resistance to the transfer of temperature. This is the measurement unit we use when we are speaking about walls or attics. The higher the R-value, the more capable that compilation of materials (example: wood framing, insulation, drywall) is of resisting the combating temperatures. U-Value is different. It is a unit of measurement that is used to measure the efficiency of a window. It measures the BTU’s per hour that is transferred through a window or door. So, essentially U-value is the inverse of R-value. This is one of the things that many homeowners express when they remove their old doors and windows then install new modern replacements. The home can be noticeably quiet. Sometimes the absence of the old white noise can take some getting used to. Interestingly, glass block is a better building material in cold climates than it is in hot desert climates. Let me tell you why. It is because the glass block does not do a great job of blocking the radiant heat. If direct sunlight hits the glass block the heat will enter the home faster than it would if a modern efficient window were in its place. The thickness of the glass block provides the insulation needed to keep out the cold. The bottom line is that if you like the look of glass block it can be. good choice in any part of the country. If it is being used in a desert climate like Phoenix Arizona you will simply want to make sure that the sun does not shine directly on the block. Glass block does not contain a UV coating capable of reflecting the suns heat away from the surface like low-e window can. No matter how well made your windows and doors are the amounts of shade or lack of it will dictate how much impact this green energy solution will be towards making the dwelling more efficient. In other words, even the best window in the world is going to be less helpful if the sun is beating directly on it in a hot climate. Of course, if the home is in a cold climate like Santa Fe New Mexico then you may want to invite more sun to come in contact with the glass. In that case, it is better for the low-e coating to be on the inside of the interior pane of glass. This will help the glass to reflect the heat back into the house rather than away. Window and door installation may not be the best DIY project to take on. A Poorly installed world class window can end up being less efficient than an inexpensive window that is installed professionally. Making sure that air gaps are willed and sealed can make all of the difference. Make sure that you include the hiring of a professional installer. New windows and doors can be one of your important green energy solutions when purchased and installed properly. Energy Star certified air conditioners are extremely efficient. These machines can make for a big savings in any home that needs an a/c to cope with higher temperatures, certainly one of green energy solutions. Cities like Phoenix, Las Vegas, and Palm Desert are known for their desert climates. Air conditioners are essential to life itself in these places. Determine the most cost-effective solutions to improve your home’s comfort and energy efficiency. Find an ideal company with a full service residential and light commercial home performance. As energy costs rise so does the demand for more efficient systems to keep our homes cool. Air conditioners are rated for their efficiency with the SEER rating system. SEER is a calculation that these devices are rated at. Today an efficient system can be between 15-26 SEER. The higher the SEER rating the higher the cost of the unit. The higher the cost, the more efficient the unit. Ultimately, highly rated a/c’s cost far less to cool a home then do those that are less efficient. SEER stands for Seasonal Energy Efficiency Rating. Maybe you live in a climate that demands constant use of an a/c. It that’s the case it will make more sense to own an efficient cooling machine than it does to stick with technology more than 11 years old. The newer, more efficient air conditioners are one of the green energy technologies that can make a huge difference in the overall holistic efficiency of your home. The new units do very well to help hold down monthly energy costs. This is simply due to the fact that they take significantly less electricity to create the same amount of cool air than does an older model. To better understand efficiency think about the cold air your unit produces in terms of dollars. In other words how many dollars does it take to produce the cool, comfortable air that makes my home livable? 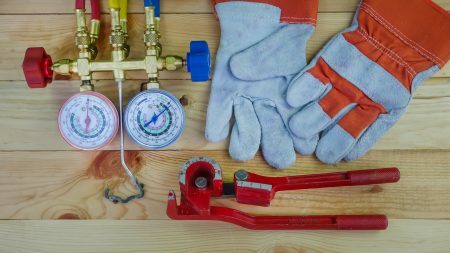 This question pinpoints the core value of owning a high-efficiency air conditioner. The new machines are far quieter as well. There is less rattling, vibration, and humming. The new rigs are simply more fine-tuned, balanced, and . have the advantage of new technologies to help the home perform better. There are a few contributing factors. One is that there is more coil surface for air to pass through. The hot air is able to escape with more ease by having a more open surface to pass through. Also, many of the better new units utilize dual compressors rather than one. A dual compressor configuration allows the unit to work less hard to do the same amount of work. This is especially important than the temperatures outside are high. The air handler portion of the new air conditioners can be helpful in using less energy too. Having a variable motor that runs slow during low demand and faster during high demand is far superior then relying on a motor that has two settings: on or off. This is one more way that the new units conserve energy. This is one more reason why green energy solutions are incomplete in a hot climate without a high efficiency a/c. I know that this term sounds “out there”. But, once you understand the idea it should resonate more with you. 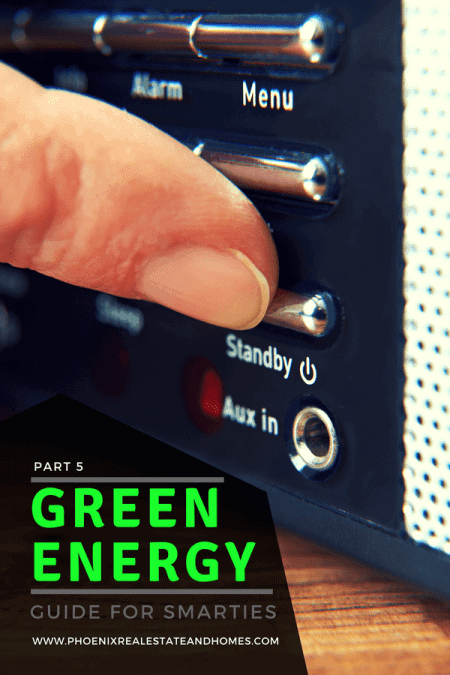 When we describe green power technologies as holistic we are saying that the all of the components that make the home energy efficient are working together. The home is performing better because of the accumulated effect of all of its components. Furthermore, if a home is well sealed and insulated it is going to require a smaller air conditioner and will use less power than a home that is not as airtight. Therefore the well-sealed home can be a comfortable home with fewer solar panels and a smaller air conditioner because less energy is being wasted. If you have an older home that is equipped with an older a/c you may want to upgrade that machine. First, before you do, we would like to see you have an energy audit done on your residence to see what can be done to make your home more efficient than it already is. Taking care of the small things first makes a lot of sense. Energy Star appliances are defined by their consumption of resources. A washing machine that uses 55% less water than it’s predecessor demonstrates this. Energy Star appliances will use 10 – 50% less power than a non-efficient appliance that is otherwise similar. As electricity and water rates increase year over year these Energy Star appliances make more and more sense as each year of use rolls by. Clothes dryers are the biggest gluttons for power in a household. Compared to older machines these new Energy Star models is one of a great green energy solutions stand to save the user 20% in energy consumption costs . Washing machines that are Energy Star rated will consume 40 – 50% less power than standard washing machines. So by investing in a new washer and dryer the annual savings can be staggering $260 every year. (https://www.energysage.com/energy-efficiency/costs-benefits/energy-star-rebates/). An Energy Star washing machine can be one of the biggest green energy solutions in your appliance package. What about the fridge? Energy Star refrigerators can save up to 40% compared to one that was manufactured in 2001. I am pretty sure that my own fridge is that old. Time to do something about that. So, a newer fridge can save a ton of energy too, just like that washing machine can in the laundry room. Dishwashers don’t use as much power as the other major appliances. Still, you’ll save around $25/year with an Energy Star unit. Then there are the water savings. That’s another story. It all adds up to savings and less stress on the environment overall. After installing another leading brand three times over the course of 18 months we were worn out. We decided to try a Bosch. Let me tell you something here. We will never buy any other brand of dishwasher. Our Bosch is so quiet that if it were not for the red indicator light that shoots down at the floor we would not even know when it is running. It’s that quiet. The Bosch is also designed to use very little water. it does a great job of cleaning our dishes and is an energy star appliance. We are glad we own it.